4. Get Next Day Air only $17.77 ! I have been suffering from UTI/bladder infection since I was 18 years old. I have an inoperable abnormality that allows urine to be left behind in my urinary tract and pocketed in my bladder. I am now 38 years old and up until 6 months ago I had been averaging a UTI once every two to three months. I was becoming increasingly depressed about my situation and increasingly concerned of what affects overuse of antibiotics were doing to my body. I decided to research on the net for possible alternative to my condition. 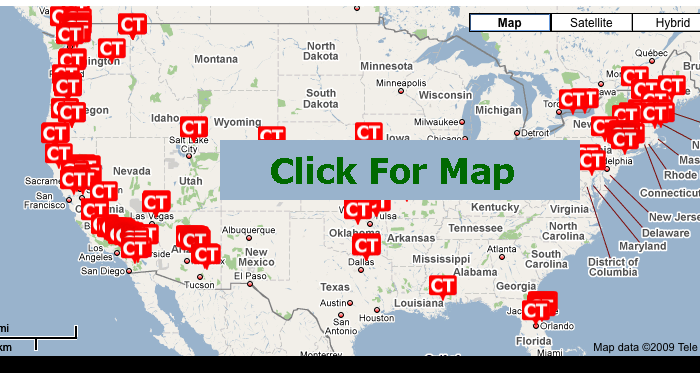 After endlessly trying products that did not work I came across a product called ClearTract. When I read what it could do for sufferers such as myself it seemed to me that it was two good to be true. I made a promise to myself and my husband that this was my last shot at naturally trying to heal myself. I also promised I would return to traditional medicine as soon as possible. I had been in the throws of a UTI when I ordered your product for the first time. All I can say is THANK YOU! For the first time in my life I have been free of antibiotics and treating my condition naturally. This product cleared what would have taken antibiotics 7 days to teat less the awful side affects of Cypro. I can't thank you enough and will be forever grateful towhom ever discovered this wonderful product. While this ingredient is new to the public, it has shared a safe and successful history with Jonathan V. Wright, MD who discovered it over 20 years ago. (Townsend Letter for Doctors). When taken ClearTract reaches the bladder in about 30 minutes. Once there it goes to work quickly, customers often notice a difference in as little as 24hrs. Cranberry only contains a fraction of active ingredients, most of it is different inactive compounds such as fiber, acids, and other organic compounds. So with cranberry you never really know how much active ingredient you are actually getting. 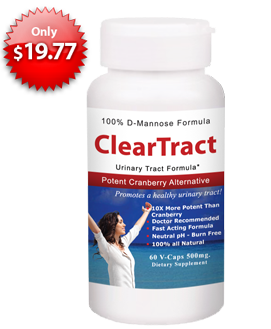 With ClearTract you get 100% active ingredients, which is why there is such a dramatic difference in taking ClearTract versus cranberry. Leading practitioners of integrative medicine are now recommending d-mannose. Dr. Ronald Hoffman MD. Director of the Hoffman Center and host of the popular radio show Health Talk recommends it. Dr. Jacob Teitelbaum, director of the Center for CFS/FM therapies is another prominent supporter of d-mannose. The popular health media have written about d-mannose and its effects, including articles in Let’s Live and Alternative Medicine Magazine. From the Weizmann Institute of Science confirms confirms that certain rare sugar compounds recognized by the bacteria can competitively block the adhesion to the bladder wall. Just wanted to thank you for this product, Cleartract. 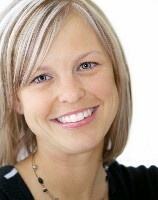 i have two daughters ages 12 and 8. they started with recurring uti's around age 3. 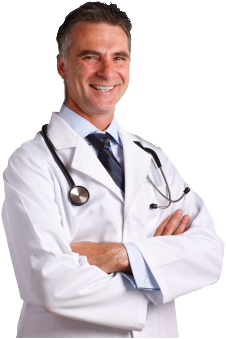 We have been to numerous doctors and specialists. mountains of invasive tests with no results. we have been through biofeedback and daily antibiotics. As soon as antibiotics were stopped infections would return with 2 weeks. I came across your site and ordered your product. I took my daughters off their daily antibiotic on feb. 5, 2002. It is now the end of march and infection has not returned. That is a miracle in my book! thank you so much, I can't tell you how happy we all are and what a difference ClearTract has made in our lives.THANK YOU! Hi! I just wanted to say THANK YOU for a great product. I was experiencing a lot of urninary tract infections this year. I was getting UTI's like every two-three weeks. I tried all types of antibiotics and was getting concerned with taking antibiotics so constantly, plus itdidn't really make my symptoms disappear completely. That's when I looked up more information on the internet about UTI's and found out aboutMannose. Since I've been taking Mannose, I haven't had any more infections. This is my third order for Mannose and so far I'm really pleased with the amazing results! I'm sold on this product!